Hospitals, assisted living centers, nursing homes and other healthcare providers are under constant pressure to keep their facilities safe while managing costs. In addition, they need to manage constant visitor traffic, open access in multiple buildings, hectic emergency departments, confidentiality requirements, governmental standards and patient satisfaction surveys. To effectively deal with all these issues, more and more healthcare institutions are opting to outsource their physical security services. MYTH: Contractors Do Not Know My Hospital – The truth is that quality security providers make understanding their clients’ needs and security goals their top priority. That commitment, combined with extensive healthcare experience, make the contract provider right at home, and your patients and visitors are often not even aware that the security team is not directly employed by the hospital. Large national security partners have significant experience working with a variety of accrediting bodies and agencies such as OSHA, The Joint Commission, CMS, DNV, and NFPA as well as state and local regulators. In addition, contract providers are members of healthcare associations, such as the International Association for Healthcare Security and Safety (IAHSS), the American College of Healthcare Executives (ACHE) and the American Society for Healthcare Engineering (ASHE), which provides the insight needed to keep pace with the industry’s changing needs. Contract security officers who serve the healthcare market understand the nuances of a hospital security program and undertake highly specialized training including crisis intervention and de-escalation, blood borne pathogen training and Ready Response with guidelines based on CMS, The Joint Commission and HIPAA standards. MYTH: Our Cultures Don’t Mesh: Your Employees are Not Our Employees – The reality is that the best security partnerships are based on shared values. When the hospital and security provider share a common mission, the security provider quickly becomes part of the team. Strong, local security leadership works to ensure that the contract team understands, supports and is integrated with the hospital’s culture. Recruiting the right personnel is key, as is on-the-job training and the understanding that each hospital environment is unique and should be treated as such. Security teams are hired from the local market and they want to be an integral part of the hospital’s culture and success. In addition, security teams are active on hospital committees and programs and proactive about sharing best practices. MYTH: Contract Security Companies Just Pull and Plug to Fill Open Positions – Security officers who work in healthcare are a special breed and their training is very specific to their position. Contract healthcare security officers are recruited, selected based on fit for the environment, and placed on a post based on their skills and the post’s specifications. An established talent pipeline and quality recruiters allow contract companies to hire for each post, assessing the skills and desired work environment of each candidate and matching those that qualify to positions where they will excel. Additionally, local managers have access to a pool of talented, trained and knowledgeable staff that can step in to provide extra coverage as needed during vacations or to provide additional assistance when there is an event or emergency. MYTH: Contract Security is Expensive with Hidden Costs – The reality is that the contract security is more cost effective. Carefully review of all of the costs involved in an in-house security program – which include much more than wages – to determine the true expenditure. With a quality security provider, there are no hidden costs. All costs are outlined in the agreement and contract security providers can help the healthcare institution understand how their security dollars are being spent. In addition to wages, the internal security budget includes employee health benefits, workers’ compensation and other payroll taxes, training, uniforms and supervision. The contract security provider also alleviates the costs and management challenges associated with the development of training programs, payroll, recruiting, background screening, certifications, and licensing and training compliance. With a dedicated focus on security, many contract providers can do all of this much more effectively and efficiently. MYTH: No Local Touch or Individualized Attention – National contract security providers with a local response and national support approach ensure that the local security experts can draw upon national resources as needed. That national expertise includes all of the knowledge gained from industry involvement. Each manager may not be able to attend a conference but in a contract program, systems are in place to share best practices so that everyone can benefit. The managers assigned to the hospital have one goal – fulfill the hospital’s security mission. When a hospital employs its own security team, the managers are often pulled in a number of directions. But a dedicated manager from a contract security company can focus solely on maintaining a safe and secure environment. Choosing the right contract security company can impact how your healthcare facility is perceived as well as your bottom line. Every healthcare security program is different and identifying a provider with the right type of experience is important. Choosing a contract security company with extensive healthcare experience and training is crucial to a successful partnership. This often starts with a selection committee that may include representatives from hospital administration, purchasing, facility management, HR and security. This team can review the current program, identify areas in need of improvement and prioritize objectives; and then create a request for proposal (RFP) that helps gather the facts from all potential providers to make a side-by-side comparison. It is crucial to select a provider who is committed to the success of your healthcare security program and your unique organizational culture. Look for security expertise with the specialized skills and training demanded in the healthcare market; effective staffing resources to ensure all posts are staffed for every shift; and open communication to ensure that the contract security firm responds to the changing healthcare security arena quickly and expertly. 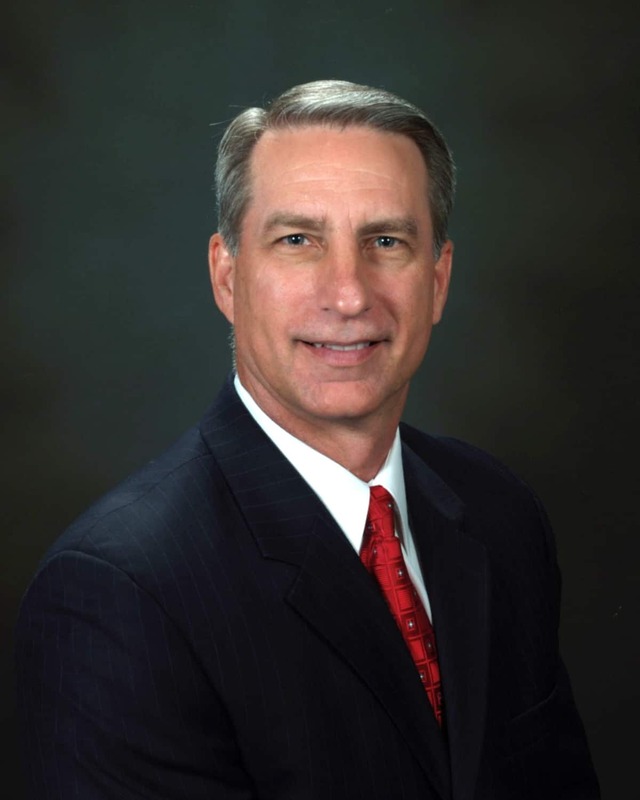 Ken Bukowski is the Vice President of Healthcare at AlliedBarton Security Services. I am interested to know about those healthcare trainings. How may we able to get them? Please advice.